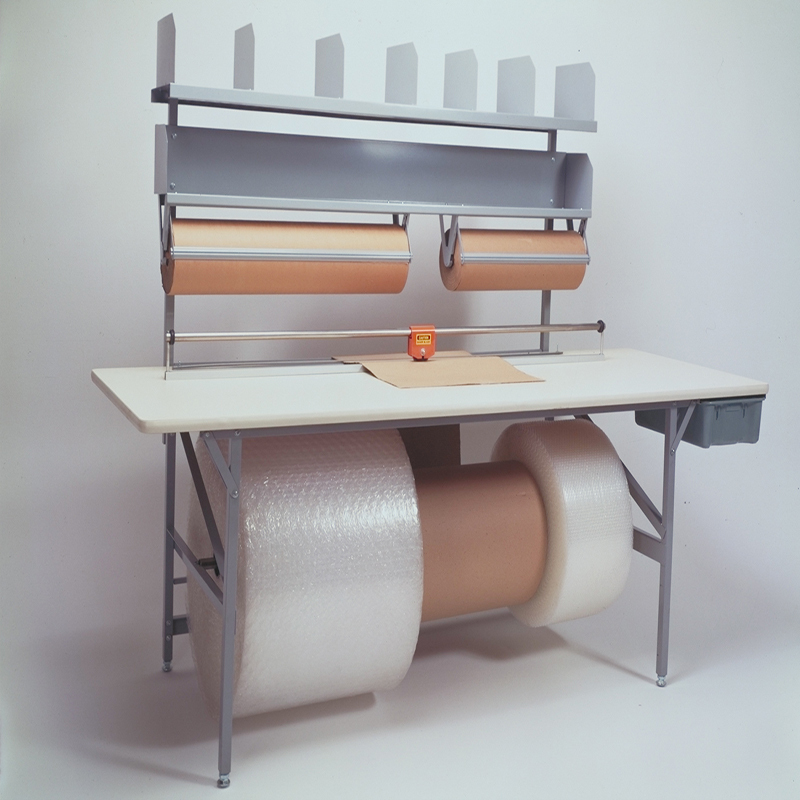 Packing Tables / Benches and Work Stations are very common when the application requires the use of roll packing material and variety of sizes of corrugated cartons and mailing envelopes. Our Benches and Work Stations are designed to the most ergonomic standard and are supplied with Laminated tops with rounded T-molded vinyl edges for safety and protection. Benches and Work Stations are designed to the most ergonomic standard and are supplied with Laminated tops with rounded T-molded vinyl edges for safety and protection.